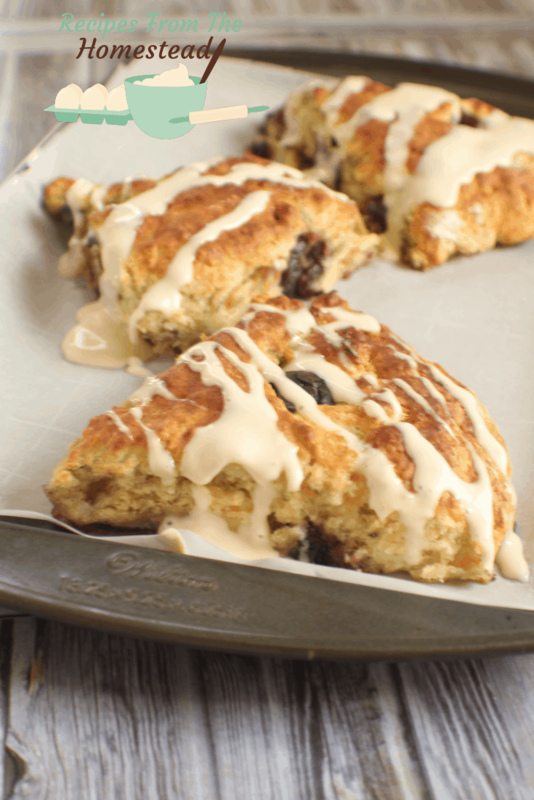 A taste of England anywhere in the world, these light and flaky sour cream cherry scones are the perfect breakfast or tea time treat! The hubby, Frenchman, boy and I love to have relaxing weekend brunch type meals. 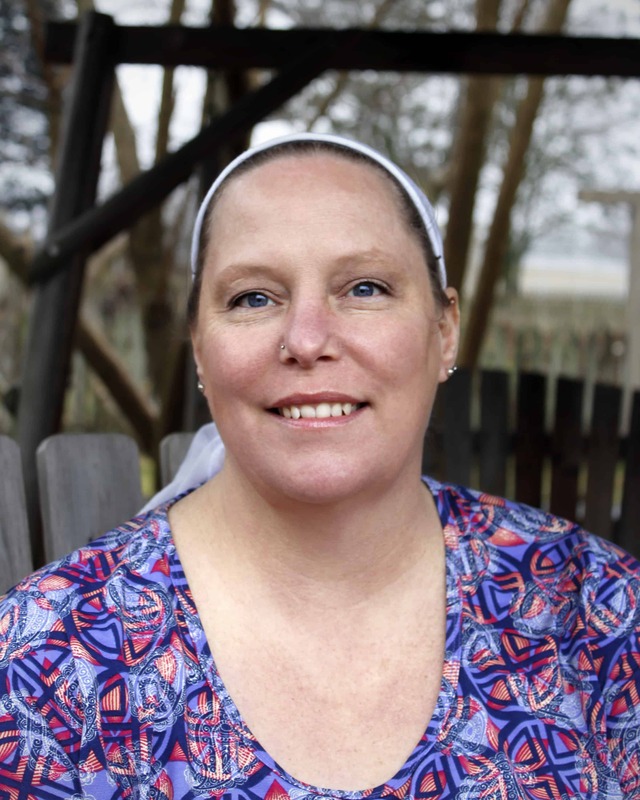 You know the type-settled in with steamy cups of coffee, plenty of lively conversation, and great food. Great food is the key to nearly any decent gathering in my home. Sure, you can relax over coffee and conversation, but adding in some great food just makes it all better. Brunch generally consists of coffee, juice, protein such smoked salmon or eggs and turkey sausage and sweet breads. Enter in sour cream cherry scones. Sweet, light and flaky, they are the perfect accompaniment to lazy Sunday coffee time. Originally scones were round and flat, as large as a medium sized plate. Baked on a griddle, they were cut into triangle shaped pieces for serving. Today, the round cake would be called bannock, and the triangles “scones”. My Scottish grandfather would use those terms interchangeably when I was growing up. Tea time would always be at 4 in the afternoon, and would always include a sweet scone. Of course, the tea would have lots of milk and sugar for the kids. Scones are actually very easy to make, and once you get the hang of them, you can create all different types of flavors. From sweet to savory, there’s almost nothing you can’t make into a delicious, flaky scone. The Frenchman loves to dip his into his hot chocolate or coffee in the morning, and they boy just washes his down with a glass of cold milk.The hubby and I prefer to enjoy ours with a fork and knife, with coffee in the mornings. 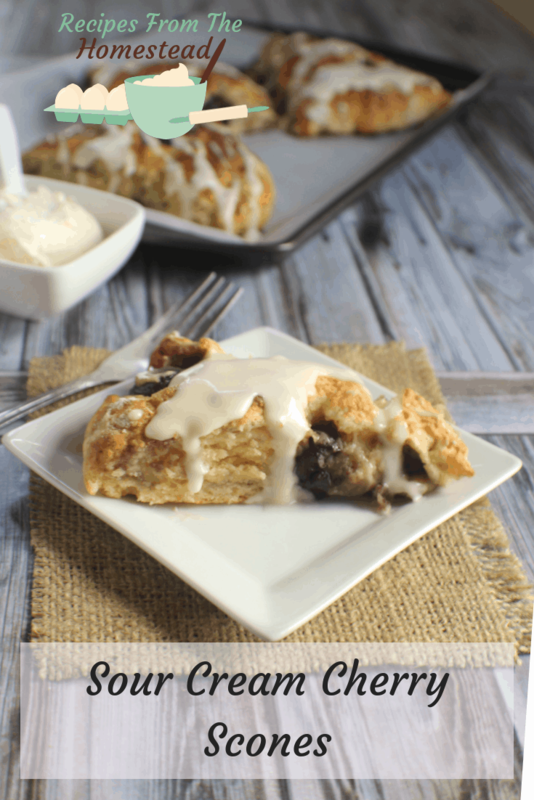 I hope you enjoy these sour cream cherry scones as much as we do! 1 cup frozen cherries, chopped slightly. In a medium sized bowl, combine flour, sugar, baking powder, baking soda and salt. Cut cold butter into flour mixture until the size of little peas and is course and crumbly. In a separate bowl, whisk together sour cream and egg. Stir egg mixture into flour mixture until just moistened. Turn out onto a floured surface and kneed 8 times. Pat dough into an 8 inch circle. Cut into 6-8 triangle pieces and place cut circle onto parchment lined baking sheet. Bake for 15 minutes, then separate pieces and bake for an additional 5 minutes. Store in an air tight covered container for up to 2 days on the counter, or wrap each individually in freezer bags and freeze for a quick breakfast on the run. 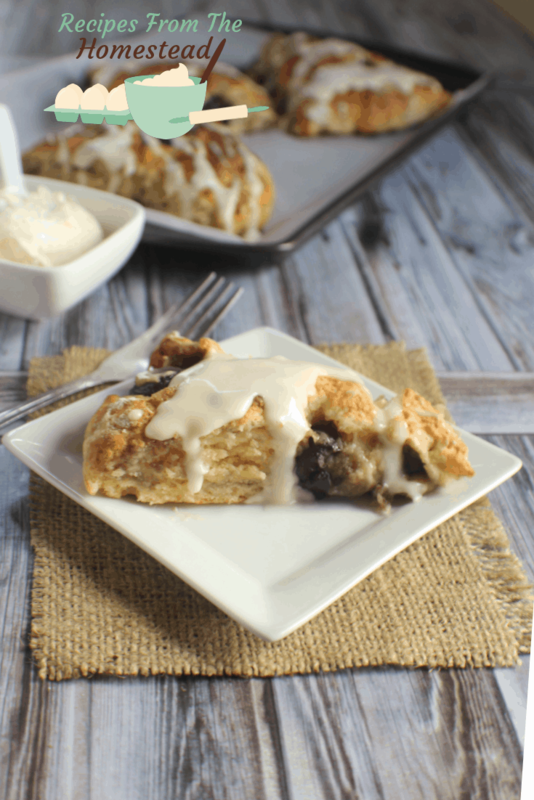 When would you enjoy these sour cream cherry scones? Over brunch and coffee or during afternoon tea time? Be sure to pin this for later, too!